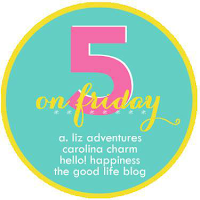 It's friday so I'm linking up with Five on Friday and Friday Favorites! Since I posted about it twice last week I ordered the North Face jacket I've been googling over (and it's $100 off!) I ordered a medium since most of my North Face things run small. But when it arrived it just felt too big. They were sold out of all of the grey online (but I just checked and it's back online in small and large) so I called and there were 2 smalls left in all of the US and they are shipping me one and it should arrive today! I so hope it lives up to all of my dreams. With a big snow storm coming this weekend it would be so great to be warm while we are shoveling and playing outside! she is hysterical and I laugh at just about every one of her posts. This week was all about recipe fails. I tried the much raved about tortellini sausage soup from Christina and Natasha and I swear I followed the recipe but it was way too salty and we ended up just throwing it out. Sooooo disappointing! And then the next night my mom made us a new recipe for Chili macaroni and it had way too much cumin and chili powder and we couldn't eat that either. Then I tried a new blueberry muffin recipe that I got from another blogger last week for our playdate on Tuesday and although I did serve them, I won't be making them again since they were too dry. So we are officially defeated with new recipes and we'll be sticking to our tried and true for the next few weeks! I am tempted by these Anthro dish towels because they are on sale for $19.95 and an additional 40% off! And although the Walmart towels are practical, I would like some that I'm proud to hang on my towel bar! Also on a side note I hate the smell of dishtowels over time and always wash them separately from the rest of our clothes in the laundry. I have a thing with food smells. I just got this e-mail and today Gap is 40% off everything and 18% cash back- WHAT?! I know I've talked about this before but I keep talking to people who still don't use Ebates and I don't even know why!! I'm awaiting my $80ish check coming in February! It's so easy to do and you get cash back for shopping online. You can install an ebates button to chrome and you just click on it before you check out. There's even a way to get cash from shopping in store. If you don't use ebates I'd love if you'd click my referral link to sign up. It really is that easy to get money just for shopping online. You get anywhere from about 2% of your total to 6% usually, but they always have double cash back deals and I got 20% cash back for my Christmas cards. So although most of my orders give me just a dollar or two, they all add up and the double cash back deals definitely make a difference. Please click here for my referral link. We're gearing up for a snowy weekend- hoping for some snowman building, hot chocolate sipping, and comfort food cooking! How can you not shop with 18% cash back?! That's great! I definitely need to add more to my collection! Thanks! And bummer about the recipes! I HATE when that happens. I used crazy restraint for myself yesterday but I ordered a bunch of stuff for my husband on banana.com. How can you not shop with such great cash back?! 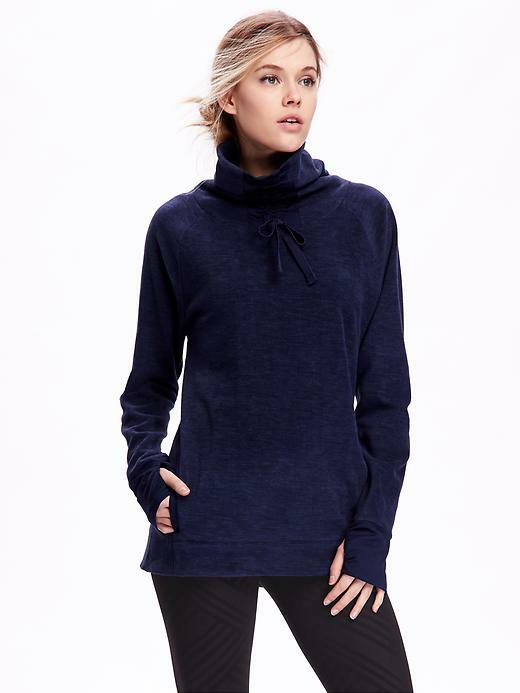 No way is that old navy fleece $14 must buy a similar one (as I live in the U.K) I like it! I agree yes the cake does taste as good as skinny feels give me the cake! I laugh at that phrase every time and when she posted it about cake it was too good not to share! I am with you on the recipe fails this week. I tried garlic chicken and it was so bland. Stay safe and warm during the weekend! I have to admit I just tried another blueberry muffin recipe and it wasn't good either. I really need to stop! 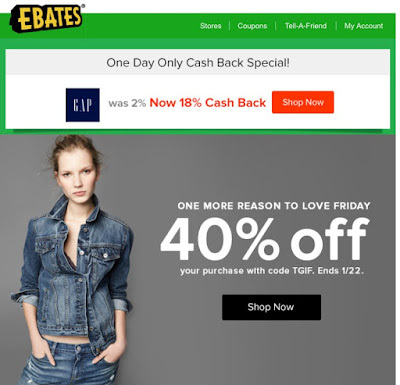 I am one of the crazy people still not using ebates! It's on my to-do list (as if signing up is even that difficult), ha! Perhaps I will get to it this weekend.